In the event of Jakarta Fair Kemayoran (JFK) 2016, one of the Indonesian largest importers, PT. Duta Putra Sumatera introduced the Chinese eV named Rayttle E28 Max. At least two electric cars were on display at the company booth located in Hall-B, JIExpo Kemayoran, Central Jakarta. 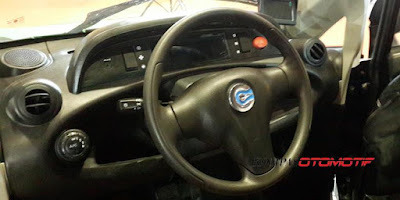 This tiny electric car made by Zhejiang Rayttle Motors Co., Ltd. was first launched on the Chinese electric car market in September 2014. The Rayttle is a new Chinese two-seat electric vehicle for in the cities, looking an awful lot like a complete clone of the Renault Twizy from France. 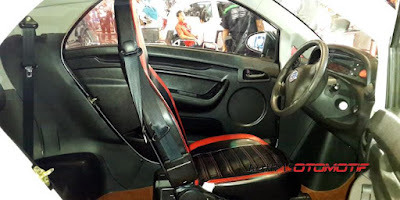 According to one of the booth attendants who said that if the car is a prototype, not yet marketed. Regarding the price range if sold in the Indonesian market, he could not predict. Until now, it was still conducting a survey or receiving inputs from visitors. "We still review the consumer price delish where, on average, say above 50 and below 100 million," he said. And he admitted the company intentionally introducing a small-sized car at JFK 2016, given the visitors come from all walks of society, both middle and upper. "JFK for all people, for the families, moreover these dynamic electric cars for housewives," he said further. This car can go as far as 120 km and driven by its 4.0 kW electric motors. 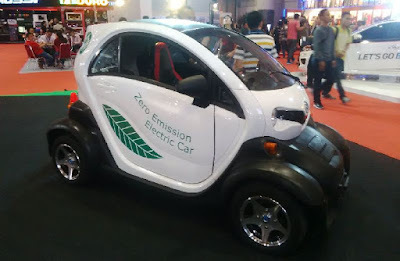 The maximum speed of this little car is claimed to reach 45 kph and its battery recharging takes 4-5 hours by using the household electric plugs. Interestingly, a lot of features like a regular car that pinned on the Rayttle E28 Max. For example, power windows, air conditioning, parking sensors, until the rear camera. It also fitted audio system with front and rear speakers, as well as the LED screen.